Mindstorms Sets can teach your students how to build with Lego Technic® and learn to program. 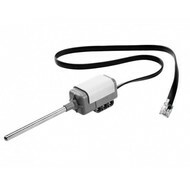 All possible LEGO Mindstorms Sensors can be found with us. 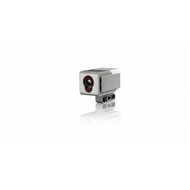 Do not wait any longer and order the LEGO Mindstorms Sensors at RATO Education today! 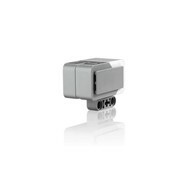 Vernier Sensor Adapter: with the Vernier EV3 / NXT Sensor Adapter you can integrate Vernier sensors with the EV3 / NXT brick and the EV3 / NXT Software. This allows you to carry out even more scientific experiments with your students. The adapter is very easy to mount on the EV3 / NXT models. -20 ° C up to + 120 ° C! 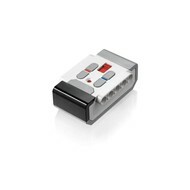 EV3 color / light sensor: this digital sensor can distinguish eight different colors. It also functions as a light sensor by absorbing different intensities of light. Students can let robots follow colors and lines and experiment with light intensity. Thanks to the EV3 color and light sensor, they learn to work with technology that is used in the recycling industry, agricultural industry and the packaging industry. EV3 Gyro Sensor: this sensor measures the rotation speed and changes the orientation of the robot. 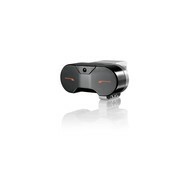 With this sensor, students can discover different angles, balances and technologies that are used in reality for Segway®, navigation systems and game consoles. EV3 Ultrasonic Sensor: this digital sensor allows students to learn how sound waves and echoes work. The Ultrasonic Sensor makes its own sound waves and reads the echoes so that students can investigate the distance between objects. With this sensor, students can create systems that can measure the distance between two vehicles in traffic. 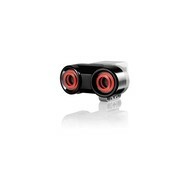 EV3 IR Sensor: this digital sensor works thanks to infrared technology. Thanks to the IR Sensor, students can create robots that work on remote control and discover how infrared technology works with remote controls for TV and security systems. EV3 IR Beacon: the IR Beacon is made to work with the EV3 IR Sensor. This beacon emits infrared signals that the IR Sensor records and analyzes. The IR Beacon can also be used as a remote control for the EV3 P-Brick, by means of signals sent to the IR Sensor. 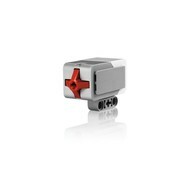 Order your LEGO Mindstorms Sensors at RATO Education! Are you looking for ways to expand your LEGO Mindstorms EV3 and make it even more fun for your students? Search no further. The LEGO Mindstorms Sensors are perfect to make the entire Lego® Education Mindstorms EV3 process even more educational. All possible sensors and much more can be ordered online at RATO Education, where schools can pay after delivery, which is also free from € 100!